He hoped the break from Los Angeles would allow him to discover the new direction in his work he sought, as well as enjoy time with friends and fellow artists David Hockney and R.B. Kitaj, in particular. He was also introduced to others, such as Henry Moore. Near the end of his stay in London, Brice encountered Herostratus, a 1967 experimental feature by Don Levy. Its mosaic of staccato iconography pushed emotional and conceptual buttons in the artist. The film was a pivotal influence—Brice began to experiment with conceptualized content that juxtaposed fragments and motifs, and contemporary pictorial references. 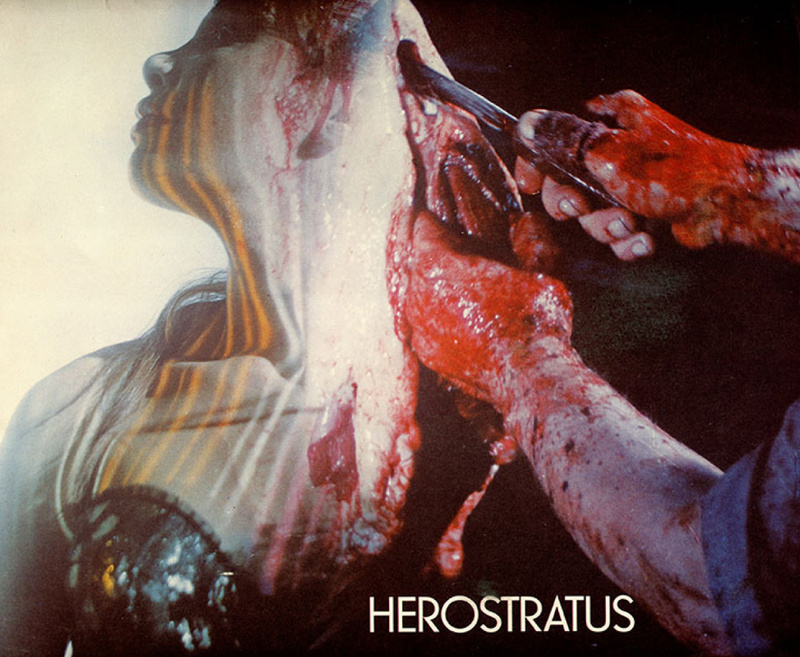 top: Herostrastus, 1967, 142 min, conceived and directed by Don Levy. Cast includes Helen Mirren, Michael Gothard, Gabriella Licudi, and Peter Stephens. 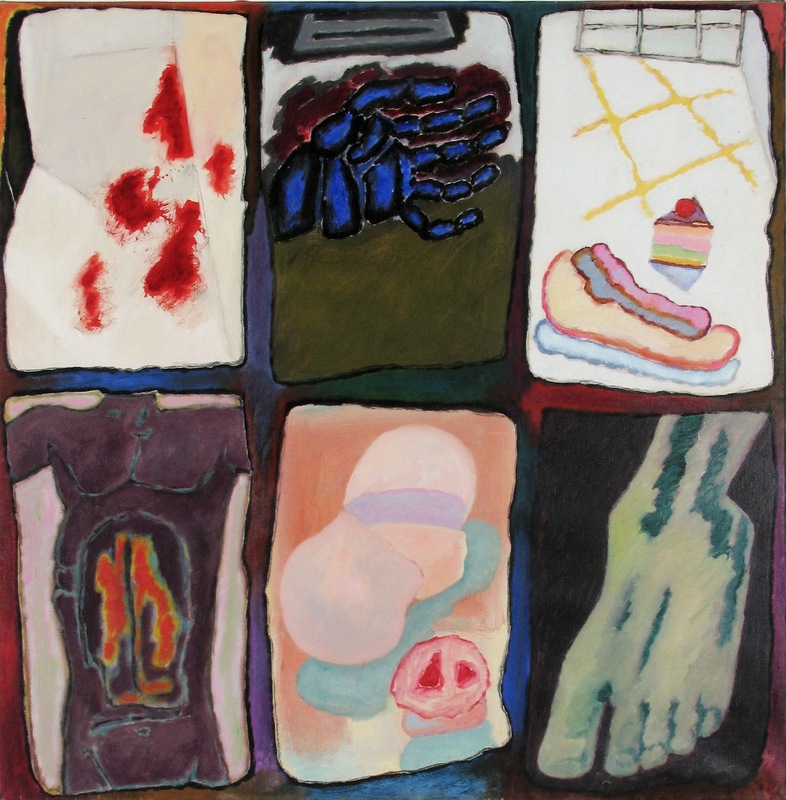 bottom: Fragments, 1968, oil on canvas, 28 x 28 in.